Home » Photography » Photography Gear » Gifts for Photographers: A Round-Up of the Best Photography Gifts for 2019! If you have a photographer or lover of photography in your life who you’d like to buy a gift for, you’ve come to the right place! As a professional photographer, I appreciate that not everyone knows what kind of gifts to get a photographer. So, to help out, we wanted to share with you this list of great gifts for photographers. We’ve divided this list by budget tiers so that you can find something for any budget whether you have $10 or $2,000 to spend on your favourite shutterbug. Gifts range from budget-friendly useful camera accessories to waterproof clothing to once-in-a-lifetime photography trips. Every recommended gift is rated by the skill level of the photographer we think it would be best suited for. Each gift is rated as being good for a beginner (someone passionate but relatively new to photography), intermediate (someone who has been doing photography for at least a couple of years), or advanced level photographer (someone who had been doing photography for a long time, may be a long-time hobbyist or professional). We also realize that you may or may not know much about the skill level of the photographer, their photography, or their photography equipment. So we also rate each gift suggestion by how well you need to know the photographer and their equipment. For example, buying something like a filter set would require the photographer to know how to use the filters, and would also require you to know some specifics about their camera equipment so you don’t get the wrong size filters. So this would be for a more intermediate to advanced photographer, and you would need to have a fairly good knowledge of the person’s camera equipment. The good news is, whichever of these photography gifts you decide to go for, the photographer receiving the gift is going to love it! If you have any questions about any of these items or what might be best for a certain type of photographer, just leave us a comment in the Comments section at the end of this article and we’ll try to help. Let’s take a look at some of the best gifts for photographers available today, whatever your budget. Gifts For Photographers, $250 and Up! All these gift come in at under $25, but despite their small price point, we think the photographer in your life will love them! These are a mix of practical, technical, and fun gifts, and each section is ordered by price from least to most expensive. What better way to share a love of photography with the world than with a fun photography themed t-shirt? There are a lot of different designs to choose from, from more understated to more geeky – just pick the design that you think will resonate with the person receiving the gift. Knowledge you need: No photography knowledge, just the shirt size of the recipient. A piece of equipment that is always in our lenses is a lens hood. A lens hood is an extension that fits to the end of a lens, and they perform two main functions in our experience. First, they help reduce glare when shooting on sunny days (they’re also often called sun hoods), and second they provide valuable extra protection to our lenses. Lens hoods come in all sorts of sizes, and you need to match the lens hood to the lens you are buying it for, so you will need to know a bit about the camera you are purchasing for. They’re also only suitable for mirrorless or DSLR cameras. Knowledge you need: You will need to know the size and type of lens so you can get the right hood. Once you know this, searching for “lens type” + “lens hood” should get you the right product. A really neat photography accessory, a remote shutter release lets a photographer take a picture remotely, without having to press the shutter button on the camera. It essentially acts as a wireless shutter remote. This is great for all sorts of uses, from taking self-portraits or selfies when a camera is mounted on a tripod (it’s far more effective than the self-timer option! ), as well as removing the risk of small camera movements when shooting longer exposures. If you decide to buy a remote shutter release, you will need to know the make and model of the camera you are buying for. For example, this model works for Canon cameras, and this one is for smartphones. Here’s a list to get you started. Another cleaning related product. As a photographer, I can literally never have enough microfibre clothes to keep my lenses clean. Somehow, they’re always accumulating smudges and other dirt, which can really impact image quality. You can help the photographer in you life by getting them this pack of microfibre cleaning cloths, so they’ll always have one or two handy, wherever they are. These will work for every camera, from a smartphone or point and shoot, through to a mirrorless or DSLR. Knowledge you need: None, will work with every camera system! 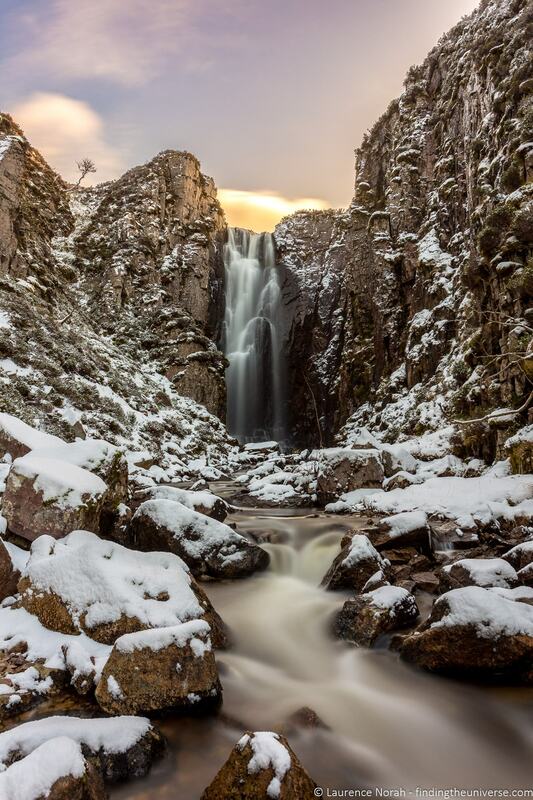 Know some who likes winter photography or lives somewhere cold? Well, they’ll definitely thank you for these hand warmers, which are air activated, and provide heat for up to ten hours. They also work to help keep lenses from misting over, which can happen if shooting at night in humid environments, when the cool night air can cause a camera lens to fog over – ruining long exposure night shots. Attaching these to the lens body with a rubber band can help solve this problem. There are a number of versions of this product. These are single-use and well reviewed, but you can also get them in a re-usable format. If you know that the person you are buying a photography gift for is heading to a specific location, then you might consider buying them a photography guide to that location. This will help them plan in advance where they might want to go to get specific shots, and should result in a more fruitful trip. Guides tend to be written for the most popular photography locations – for example, this guide to photographing Yosemite is one we always recommend. Bonus tip – we actually have a series of free photography location guides to destinations around the world which you can recommend as well! See them here. Knowledge you need: Where their next trip might take them – or where they really want to visit! Anyone who has a camera will know that keeping them clean is a constant task. So you can help out the photographer in your life by gifting them this inexpensive lens cleaning kit. It has everything they’ll need to keep their camera clean, including an air blower, microfibre lens cleaning cloths, cleaning fluid, and a special lens cleaning pen. Memory cards are another accessory a photographer can never have enough of. Imagine being out shooting, and filling up your memory card – then missing a great shot because you had no room to save it! Well, you can save this from happening by buying a memory card as a gift. The vast majority of cameras these days use SD memory cards, which come in a variety of sizes and flavours. Our suggestion is to buy at least a 64GB Class 10 memory card like this. They are very well priced, and will work in nearly every type of camera from a compact camera to a DSLR. In an ideal world, cameras would be resilient waterproof workhorses, capable of handling whatever the elements might throw at them. Unfortunately, we don’t live in that world, and whilst some cameras might have an element of weather resistance, only expensive specialist cameras are truly weatherproof. With that in mind, for the photographer who like to get out into the world whatever the weather, they will love this waterproof cover. Note that there are various sizes depending on the size of the camera, but my advice if you are unsure is just to buy the larger one. Knowledge you need: Minimal, although an idea at least of the type of camera you are buying for will help inform as to the size of cover you need. For the slightly more stylish photographer in your life, why not consider some camera themed jewelry and apparel? For example, this charm bracelet can be personalized with different charms. There are lots of ideas like this, from this photography camera pendant through to these nifty camera cufflinks, and most of them are fairly inexpensive too. For handmade and custom pieces we recommend Etsy, and you can see an awesome selection of photography themed accessories here. We also have a guide to travel jewelry which might also give you some ideas. Keeping our gear safe whilst we’re out and about is important, and the best way to do that is with a camera bag. These come in all sorts of sizes and price points, depending on the size of the camera and any other lenses the photographer might want to carry. We have a more premium option further down in the post, but it’s also possible to pick up a reasonable value case at a budget price point. Knowledge you need: The camera bag will need to match the photographer’s equipment and what they like to carry around with them, so you’ll need to know what that is likely to be. If you have a photographer in mind for a gift, and you know that they have a passion for a certain type of photography, you might want to pick them up a book about that subject. For example, a passionate bird photographer might enjoy a bird guide, whilst a cityscape photographer might enjoy a guide to architecture. One thing that every serious photographer needs is some kind of tripod. And whilst tripods can cost a lot, you can also pick up mini tripods like this Manfrotto Pixi model. This tripod is perfect for smaller cameras like compact cameras or smaller mirrorless and DSLR cameras. It’s also ideal for travellers who don’t want to carry too much, as it’s so small and portable. It can also be made compatible with smartphones with this smartphone adaptor. Having a tripod will open up a whole new world of photography options, from better self-portraits through to long exposure, night time and HDR photography. We have other tripod options further down in the post at different price points, but you can also check out our tripod buying guide for more ideas. 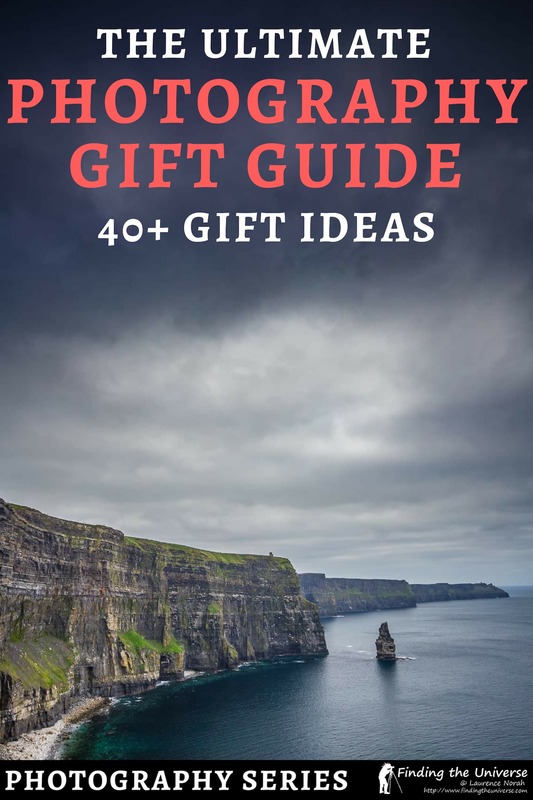 We also have a guide to the best gifts for travelers, which you might find helpful for findings a gift for the traveler in your life. Knowledge you need: Limited, will work with nearly every camera. May be too small for larger heavy DSLR cameras and lenses though so if they have a large camera, consider a larger travel tripod. If you think the photographer in your life is likely to commit to carrying around a larger tripod, but you don’t want to spend a lot of money, then Amazon actually have an excellent line in basic tripods, part of the AmazonBasics range. For example, you can pick up this 60-inch AmazonBasics lightweight tripod. Despite its low price, it still has features like bubble levels to help ensure it is level, and a quick release plate to make mounting and releasing the tripod more easy. See the full range of AmazonBasics tripods here. Knowledge you need: Limited, will work with nearly every camera. May not be suitable for the largest professional level equipment. Pretty much everyone likes coffee (or tea, or hot chocolate! ), so why not get the photographer in your life a fun mug that happens to look like a well known lens! There are quite a few of these on the market, but we like this more premium option as it has an insulated stainless steel interior, a screw-on no-spill lid, non toxic ABS plastic exterior – and even a free spoon! Works for hot and cold beverages. It’s the highest rated and best reviewed camera lens cup we could find, and this is the one we’d suggest you go for. Knowledge you need: None, this is perfect for everyone! Moving up a price bracket now, and into gifts that will cost between $25 and $50. Again, a mix of practical and fun gifts in this selection. One way to improve as a photographer is to always try to learn, and a photography magazine subscription can be a great way to learn new tricks and techniques, plus see inspirational photos. These are available as digital downloads and as physical print editions, and you can see a wide range of options available here. They vary in what they cover, from focusing on specific types of photography through to more inspirational content like National Geographic. Knowledge you need: Nothing specific, although if you invest in a Kindle option you need to ensure they have a Kindle compatible device. Running out of memory is one thing – at least you can go back through your photos and delete a couple of duds in order to free up space. Batteries on the other hand don’t work that way – once it’s flat, it’s done for the day until you get back to your charger. So we always carry a spare battery or two when we’re out shooting, to avoid this happening. Batteries are specific to the camera model, so make sure that you invest in the right battery for the camera the photographer has. Here’s a list to get you started. Knowledge you need: You will need to know the specific model of camera you are buying for as batteries are specific to different cameras. If you know a photographer who likes to head out and do winter photography, then you can help make their time spent outside in cold weather a lot more comfortable by buying them some clothing to keep them warm. Of course, you could buy items individually, or pick up a set of warm weather items to include the essentials like gloves, hat and a scarf. Tastes of course vary, but our advice would be to try and buy gloves that work with touchscreens, and ensure items are at least windproof if not also waterproof or water resistant. We also like hats that cover our ears when we’re out in the coldest conditions. Knowledge you need: Whilst some items are one size fits all, you will get the best fit for the hat and gloves if you have an idea of the required size. The rise of digital photography means that whilst we are taking more photos than ever before, we aren’t necessarily printing them out and displaying them. To show how much you appreciate your friend’s photos, you could spend some time going through some of your favourite shots they’ve taken, printing them, and putting them in a nice frame or display for them to keep. There are lots of framing options to choose from, and getting digital files printed is fairly simple – most larger grocery stores and drug stores have photo printing facilities. Another option is to have canvas prints of their work created. Lens filters are pieces of high quality glass that generally screw onto the front of a cameras lens. They come in a variety of types, with some, like UV filters, just providing lens protection, and others, such as polarizing filters, which change the look of an image. You can read more about lens filters here. We’d suggest that a great gift for a photographer looking to try something new and protect their gear would be a filter kit, which includes a variety of filters, such as a clear UV filter for protection, a polarizing filter to change the look of a scene, and a Neutral Density filter, for long exposure photography. Lens filters come in all sorts of sizes, so you will need to know the filter thread size of the camera lens you are buying for. If you have access to the camera, this will be written on the lens somewhere, usually using the following symbol: ø. So a 77mm lens thread would be something like ø 77. Most lenses are between around 40 and 80mm. In terms of filters, there’s a wide range of filter brands available, from budget through to super expensive. Our tip would be to avoid the ultra-budget options and super expensive options, and go for the middle ground. This filter kit for example, is from well known brand and we’re always happy with the filters they provide. If you wanted to spend a bit less, you could just buy an individual filter like this one. Knowledge you need: Fairly specific knowledge – you will need to know the size of filter that the lens uses. This will vary for every lens, so you will want to purchase the kit for the lens the photographer uses most regularly. You also need to be sure they don’t have existing filters. If you have a photography friend or relation who likes to travel, they will likely want some sort of solution for keeping their photos backed up on the road. Whilst one option is to carry a laptop to copy photo files to, another option is to invest in something like this FileHub travel router. This will let them copy their photos from an SD card to a connected external hard drive, and will save them having to take their laptop with them just to backup photos. It also performs a number of other functions, including extending wireless networks for better connectivity, streaming media, and acting as a USB battery pack to charge phones, making it an ideal all rounder gift. If you’re interested in other devices like this, see our guide to travel routers for more information. If you have a photographer in your life who enjoys making photos that are a bit different to the normal, or who you think might be inspired to do so, then you might consider investing in this lensball. It’s an 80mm spherical crystal ball which allows users to create really neat effects, capturing the scene “inside” the glass ball as it were. It’s a good way to spark the creativity of any photographer, and will be a fun tool in their photography bag. Note that this gift might not be appropriate for children and it can be dangerous as it magnifies the light from the sun. As a result it can become very hot and cause things to burn, so do read the instructions! 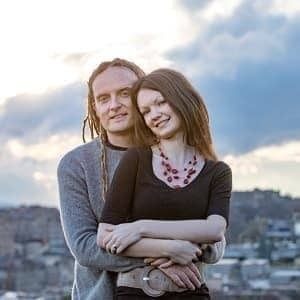 If the person you are buying a photography gift for is anything like us, they’ll likely have thousands and thousands of images files on their computer. This gift will give them peace of mind for all their photos, by allowing them to securely back them up offline in a dedicated cloud storage account. The service we use and recommend is Backblaze, which offer unlimited backup of every file on your computer at a very reasonable $50 a year. It’s what we use to back up all our files, and we highly recommend everyone use it or something like it. You even get a month of Backblaze for free if you sign up with this link. Knowledge you need: None, they just need a computer! As well as all the above gifts, the below gifts will give you some ideas for what to buy for a photographer if you have between $50 and $100 to spend. Again, these vary depending on the level of the photographer and how well you know their gear and interests, but you should find something to make a perfect photography gift in this section! If you know someone who might be interested in portrait or event style photography, or who is just looking to try something new, then you might consider buying them a decent flash unit for their camera. Whilst many cameras come with a built-in flash unit, these tend to do more damage than good to photos, often giving results that are less than optimal, with uneven lighting results and often an overexposed subject against a poorly illuminated background. If you want to do flash photography properly, you’ll need to invest in a more serious flash unit. These are available at various price points, and there are both first party models made by brands like Canon and Nikon for their own cameras, and third party units like Yongnuo which offer lower cost alternatives. Knowledge you need: The flash needs to be compatible with the camera model, so you’ll need to know the camera model you are buying for. Primarily suited to mirrorless or DSLR cameras, although some more advanced compact cameras will have a flash mounting point. As all photographers know, great light is essential to great photos. For photographers who are looking to shoot portraits or photos of indoor products, a good indoor lighting set is going to be an essential piece of equipment. There are a variety of lighting kits on the market, at a variety of prices. We’d advise picking up a kit that comes with all the necessary pieces of equipment, like the lights, umbrella and stands. Note also that there is a difference between a light kit and a flash kit. A light kit will usually produce constant light to illuminate a scene, whilst a flash kit like this is designed to work with flashes, producing a short burst of illumination. Both are good options, but a flash kit will usually require additional purchases of the flashes to go with the umbrellas. Knowledge you need: Type of photography the photographer is interested in. The rise of digital has in some ways eroded the value of the individual photos we take. As there’s no real cost associated with pressing the shutter button, we can take multiple photos and so never value each one as highly as we used to with film. The solution? An instant camera like the Fujifilm Instax Mini! This camera will take a picture and then instantly print it, letting the photographer create instant physical memories that they can share with friends and family. One of the most appreciated upgrades you can give a photographer is a decent strap for their camera. We use and love our Peak Design camera straps, which make wearing our cameras all day a viable and comfortable option. These come in a variety of designs, from sling straps through to clutch straps. The main thing we like about the Peak Design system is its modular nature. how easy the straps are to get on and off the camera, and that they are compatible with our tripods. They are a little bit pricey, but we don’t think cutting corners on the item that holds our camera away from the floor is a good idea. Another option of course if you prefer is a more stylized hand made camera strap, which will give the camera a bit more personality and style! You can see a selection of those here. Knowledge you need: None, will fit with every camera that has a tripod mount, which is the majority of cameras. Probably best suited for mirrorless and DSLR cameras though. One aspect of photography that is absolutely key to great photos is the editing process. This used to take place in the dark room, but these days as we shoot digital files, all our editing can take place on a computer. Editing is a critical part of photography, especially if your photographer friend shoots in RAW, as they need to get those files into a format they can share with the world. There are a variety of photo editing products on the market. Whilst our go-to is usually Adobe Lightroom, this requires an annual subscription which is relatively pricey. Instead, we suggest you consider the well reviewed and popular standalone Luminar product. This is available for a one-off purchase price of $69, which means you only need to buy it once – there’s no subscription model. It has all the editing features a photographer would need to get themselves started in the world of photography editing, and would make a great gift for any photographer. If you want some other options, see our guide to the best photo editing software for ideas. Knowledge you need: You would just need to know if they already have an editing tool they prefer. As any travel photographer (like me!) will tell you, you can never have enough storage when you’re on the road to backup your photos. The problem is that external hard drives have long been of the mechanical variety, meaning there’s a spinning disk inside the drive. That makes it very susceptible to failure, which becomes even more of a problem if you’re often travelling and it’s getting knocked about. Thankfully, in the last few years a new technology has arrived to solve this problem – the Solid State Drive, or SSD. These work like flash drives or memory cards, in that there’s no moving parts, so they are far less likely to fail. They are also much faster at transferring files. For a long time these were hugely expensive, but prices have now come down to the point where an external SSD is affordable enough, and of a large enough capacity, to make it a viable replacement for a more traditional mechanical external hard drive. Our advice would be to pick up a 500GB or higher version, which should be enough to store photo and video files from a number of trips. Knowledge you need: No particular knowledge, these drives should work with most laptops and PCs out there. Photography is a skill that, like any skill, takes time and effort to master. To help this process along, a great photography gift is the gift of photography knowledge! There are a number of courses out there, but naturally we recommend the one that we have created. We think this is a fantastic value product. It contains 8 weeks of over 30 self-guided lessons that cover everything we know about photography, from how a camera works through to editing photos, and advanced techniques like long exposure and astrophotography. It’s a lifetime access, so one purchase gets you access to all future updates, as well as one-on-one feedback, videos, and homework assignments from me. You also get access to a private Facebook group where you can connect with hundreds of other students who are passionate about improving their photography. Again, we think that for everything you get, it’s amazing value, and we’ve helped over 1,000 students improve their photography to date. Find out more, and buy the course here. As photographers, we can tell you that there are never enough pockets in our clothes. Whilst we do have a camera bag of course, often you just want to pop out with your camera and a few accessories. Of course, a few accessories means different things to different people, and once you’ve got your lens cleaning cloth, spare batteries, filters, and other bits and pieces, you start to realise you need more space. Enter the photography vest. These are specially designed vests with a multitude of pockets to carry pretty much everything you could ever need. Whilst there are lots of versions of these vests on the market, we like the SCOTTeVEST line of products. These don’t look like a photography vest, whilst being cleverly engineered to have multiple pockets and a load balancing system to make the whole thing more comfortable. Now we have a series of gifts under the $250 mark, a budget which will let you pick up some really nice products. One element of photography that can be easily overlooked is color. Adding a splash of bright color to a shot can really make the image pop. Of course, not every scene will naturally have a bright splash of color to use, but thankfully there is a way to solve this problem – by dressing ourselves in bright colors and putting ourselves in the photo! We travel with bright colored clothing like waterproof hiking jackets, as these help make our photos that little bit more exciting. We’d advise bright colors like red, blue, yellow or orange would work well in most situations. This is also a wonderfully practical photography gift, as it’s will work to keep the photographer dry and warm when they are out and about in inclement weather – even without their camera! Prices definitely vary greatly, depending on size and brand, but we’d advise spending at least $75 for a jacket to ensure quality and longevity. Key features to look for are water and windproof jackets, with a down lining for warmth. We take so many photos these days, but don’t spend as much time looking at them as we could. Well, one way to change this is with a digital photo frame. These are essentially high quality screens that are designed to display digital images, essentially like a picture frame but with a wide selection of images to choose from. This is a great gift for a photographer, as they’ll finally be able to appreciate and display some of their favourite photos. There’s a wide range of digital photo frames available, as you can see here. Pricing varies with many models available in the $60 – $100 range, although the better rated models with built in storage and features like video support, touchscreen access, and WiFi accessibility seem to be priced between $120 and $180, with higher end models also available. Whilst there are cheaper tripods in this list, we think that if you have a bit more budget, a carbon fibre tripod makes for an awesome photography gift. Carbon fibre tripods are, as the name suggests, made out of carbon fibre rather than a material like aluminium. This makes them lighter, and therefore ideal for travel and landscape photographers who might find themselves hiking a fair distance in order to get a shot. There are many carbon fibre tripods on the market (see our guide to travel tripods here), but our favourites are the Vanguard VEO travel tripods, and the Vanguard Alta Pro tripods. The latter are not specifically designed for travel, and are a little heavier and more expensive, but are more suited to professional weight gear. We also have an exclusive discount code for Vanguard products in their UK and US stores. In the Vanguard US store just use code FindingTheUniverse. In the Vanguard UK store the code is FindingTheUniverseUK. Codes should be entered at checkout to apply the discount. One of my favourite ways to improve my own photography knowledge is to go out shooting with other photographers. I always learn a few things, and just seeing how other people frame a scene and see the world always helps me get better shots. I’d suggest therefore that a good photography gift would be the gift of a local photography walk or hands-on workshop. Of course, availability will vary depending on location. If nothing is available locally, perhaps see if the recipient is heading to a destination where you can buy them a photowalk. We find that for most larger cities around the world there will be the opportunity to take some kind of photowalk. Prices vary, depending on if these are one on one or group photowalks. Long exposure photography is a technique whereby a photography can use time to create images that look quite special, but capturing the motion of subjects in the image. This can create scenes where the motion of water or clouds is captured, for example. 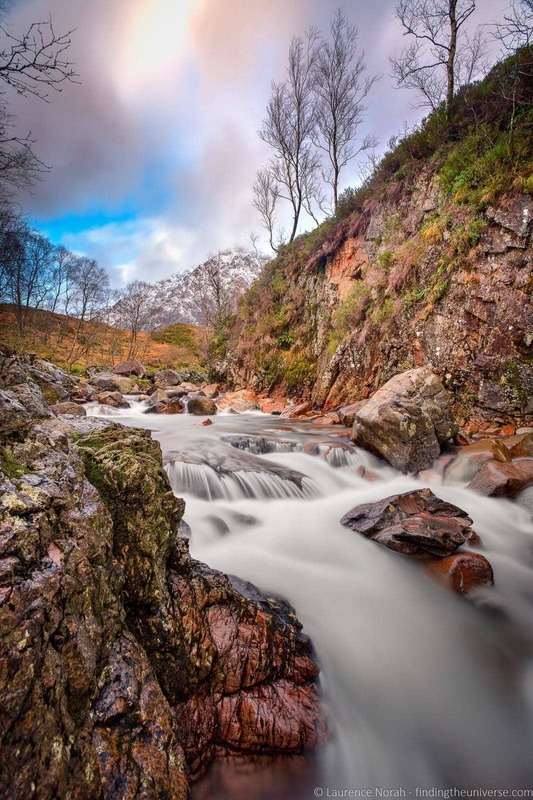 To do long exposure photography in the day time, you need a set of neutral density filters to reduce the amount of light being captured by the camera, so longer exposures can be used. Depending on the available light, a different strength of filter will be needed. Because of this, we’d advise picking up a neutral density filter kit, which will have a number of filters of different strengths. We’ve used this filter set for years, and have always been impressed by the images it has let us produce! Knowledge you need: Filters are specific to the size of the lens, so you will need to know the diameter of the lens (measured in mm) to purchase the correct size filter kit. Before we went all digital, photography was a complicated chemical process involving rolls of film and hours spent in a darkroom. If you know a photographer who might be interested in learning about this process, you can pick up this darkroom photography kit, and this accompanying guide to darkroom photography. This would be the perfect gift for any photography fan who might be interested in learning a bit more about how film photography and dark rooms work, and is perhaps looking to dabble a bit! You could also just pick up the book as a standalone product, which would make for a great photography gift under $50. Knowledge you need: None, just that they would be interested in learning a little about darkroom photography. Whilst you can buy camera bags at all sorts of price points, we’d say that if you want a truly excellent camera bag that will last for years, you’ll likely be looking at spending between $150 and $250. Our go-to bag for our travel photography kit at the moment is the Vanguard Alta Sky 49. This is large enough to fit two cameras with lenses, as well as a laptop, spare batteries, and a travel drone like the DJI Mavic. It has an awesome tripod carrying system as well, plus two side compartments for water bottles or another tripod. Obviously, you’ll need to pick the bag based on the photographer that you are buying for and their equipment, but we think that Vanguard make some really excellent products that stand the test of time. See more of their products here. If you know a photographer who like to shoot wildlife, then you might consider getting them a nice pair of binoculars to accompany their photography gear. This will fulfill a couple of function. First, a pair of binoculars is going to be easier to use to scan an environment to find a subject than a big heavy camera. Second, wildlife photographers are fans of wildlife in general – and so they will likely get a lot of use from the binoculars anyway, even when they are not actively taking pictures! The last section of our gift guide for photographers covers the most premium gift ideas for photographers. These would make really special gifts for the photographer in your life, and will either last a long time, or create memories and photos that will! If you know a photographer who is perhaps headed somewhere like the Grand Canyon or another major sightseeing destination like New York, a fantastic present can be the gift of a sightseeing flight. This will let them get a unique perspective for their photos, and let them get photos they wouldn’t have otherwise been able to get. 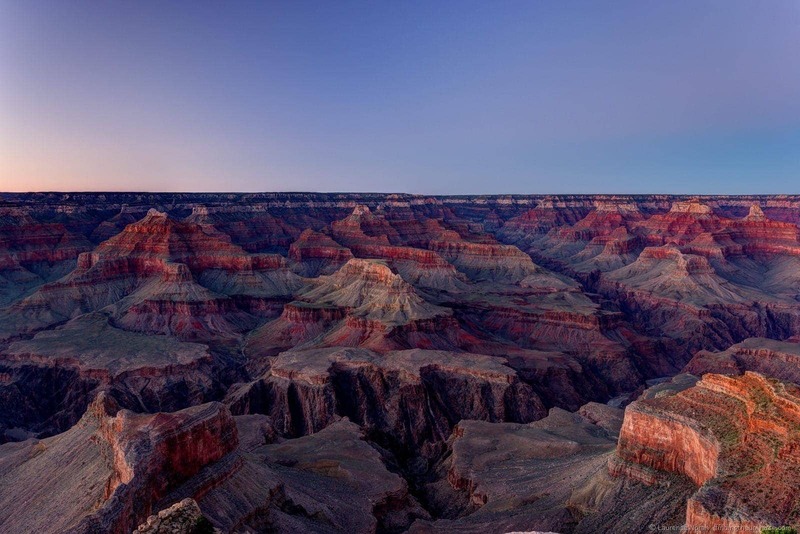 There’s a wide range of flights available around the world, including cities like LA, New York and London, and major sights like the Grand Canyon or Victoria Falls. For loads more inspiration, see this selection as an example of what’s available around the world! If you know someone who already has a mirrorless or DSLR camera, then an excellent gift would be a new lens. If the camera they have came with a lens as part of a kit, the chances are that you could buy them a replacement lens for under $500 which would substantially improve the quality of their photos. Alternatively, you could look to buy them a lens that gives them more creative options, and opens up new types of photography. For example, you might buy a telephoto lens to help them get into wildlife photography, a macro lens for macro photography, or a wide angle lens for landscape photography. Lenses vary wildly in price, but we’d say that you should look to budget at least $250 for a new lens to get a good quality option. The best lenses often cost more than the camera body they are attached to! For more on lenses, with recommendations for all sorts of different camera types, see our guide to the best camera lenses. Knowledge you need: Substantial – you need to know what camera they already have so you can buy a compatible lens, as well as what lenses they already have so you don’t duplicate an existing lens. As many photographers will know, getting photos of yourself can be a real challenge. Even if you travel with a tripod, it’s hard to capture candid shots of yourself in the moment. For this gift, the idea is to help your photographer friend or partner get some great photos of themselves, either while travelling or perhaps when they are out and about shooting. We recommend the Flytographer service for just this purpose. They let you hire a photographer in locations around the world to get photos of you enjoying yourself. So let your photography friend take a break from being behind the camera for a bit, and let them capture some moments with them in for a change! Knowledge you need: You just need to know a suitable location, perhaps based on an upcoming trip. If you know someone who wants to get into photography, but they don’t currently have a camera or the inclination to carry a larger camera around with them, then we can suggest you pick them up a high quality compact camera. Specifically, If you’re going to invest in a compact camera as a gift for a photographer, we’d advise picking up a model with a 1-inch sensor and manual controls, as this will give the photographer more control over their shots, and the larger sensor will ensure they get better shots. We’d suggest a starting price of around $350 would yield a good option. In addition, if you know a photographer who has a large camera, the chances are good that they will appreciate the gift of a more portable option. This will mean they don’t have to carry their heavier equipment whenever they want to get a photo, but will mean they’ll still have a camera on them that they can slip into a pocket. For more ideas and what is available, see our full guide to picking a compact camera here. If you know someone who is just getting into photography, or who is already a keen photographer but perhaps doesn’t have equipment to match their passion, then a fantastic gift would be the gift of a new camera. As you would imagine, there is a fairly bewildering array of cameras on the market, at a massive variety of price points. Our suggestion would be to pick up either a mirrorless camera or a DSLR camera. To help you pick, we’ve put together guides to the best mirrorless cameras and best DSLR cameras on the market, as well as an overall guide to the best travel camera. We think between those posts you should be able to find something to suit, depending on your budget. As a guide, we’d suggest a starting point of $400 for a starter camera with lens like this. If you want to gift a photographer a unique perspective that they can’t get with their existing equipment, the answer is a drone! Whilst drones are often sold as being great for video, we’ve found that having a drone has let us take photos that we’d never be able to get otherwise. There are a variety of drones available on the market at a wide variety of price points. We have used and can recommend the DJI series, in particular the Mavic line. These offer easy controls, good flight time and great image quality. The starter version is the Mavic Air, whilst the Mavic Pro version offers higher image quality. If the person you know already has a drone, then you might consider buying them some drone accessories to make their drone flying life better! Knowledge you need: Nothing specific, just be sure they don’t already have one. As mentioned earlier in this post, editing is an essential part of photography. The problem is that editing photos requires a pretty powerful computer, with many laptops not up to the task. With this in mind, if you are feeling like giving a great photography gift, a laptop that is up to the task would make your photographer’s editing life a lot easier! There are a number of models on the market – our tips are to look for a model with at least 16GB of RAM, and SSD drive, and IPS display and a fast processor. Our choice of Windows laptops would be this Dell XPS laptop, and for Mac users it would be this MacBook Pro. We also have a full guide to the best laptops for photo editing to help you decide. If budget is less of a consideration, and you want to get a truly special gift, we’d suggest that a specialist photography tour would be a once in a lifetime gift that they would never forget. Photo tours tend to be specialist guided tours to some of the most photogenic destinations in the world. 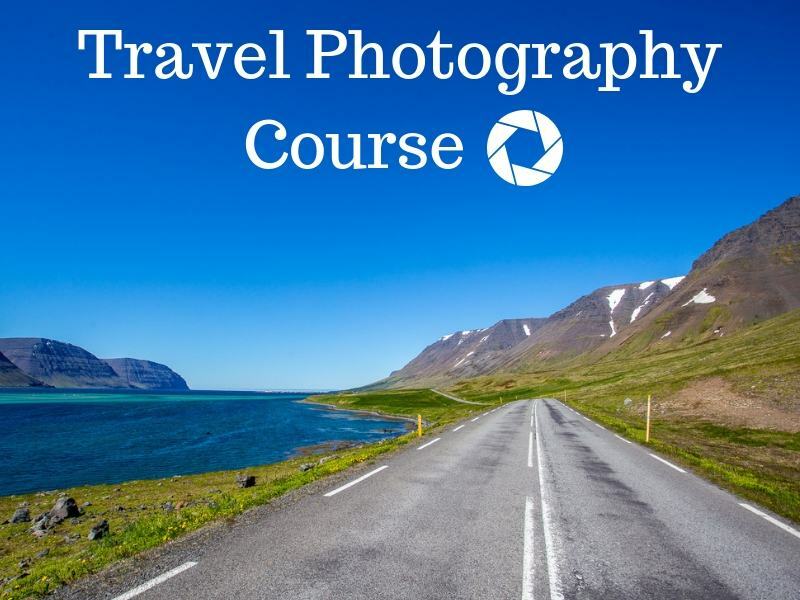 They are usually quite expensive, but include guidance from expert photographers, and an itinerary that is focused around getting incredible photos. 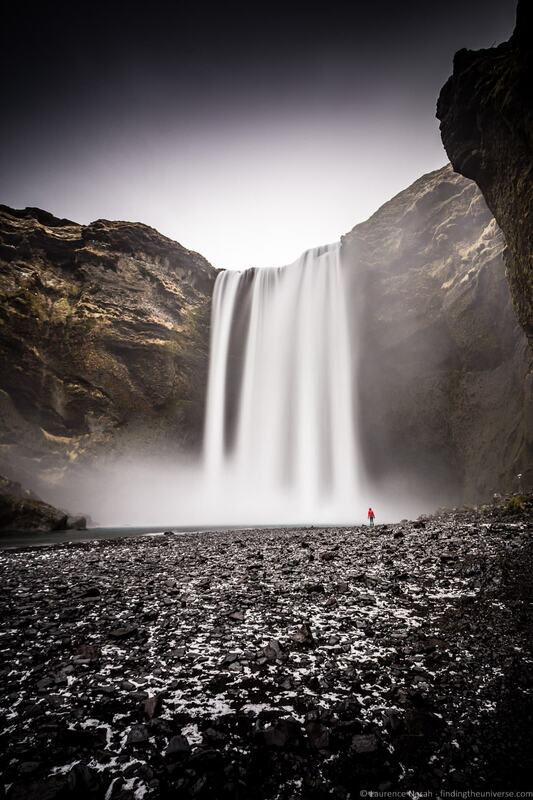 There are various photography tour providers to destinations around the world. 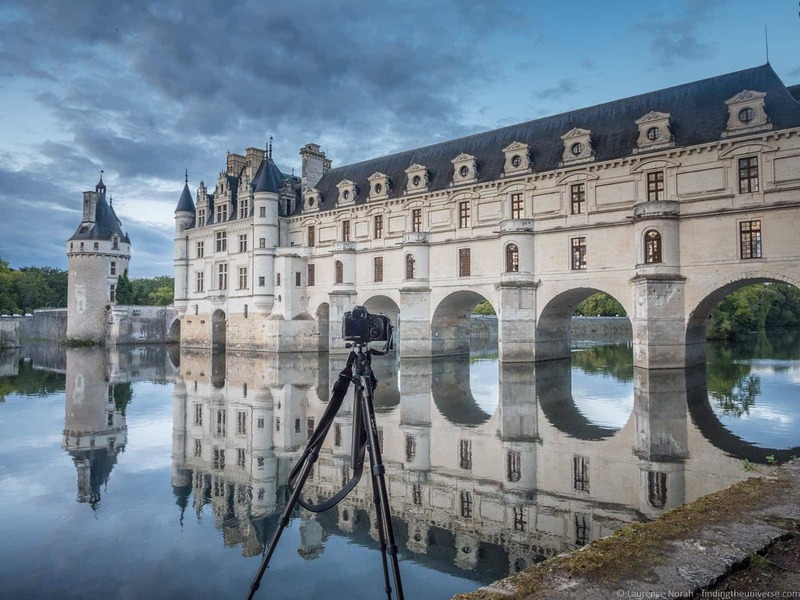 For inspiration, take a look at Discovery Photo Tours, National Geographic’s Photography Expeditions, and this list of photography tours on TourRadar. That sums up our guide to the best gifts for photographers that we’ve been able to find. Hopefully you’ve been able to find something for the photographer in your life, whatever your budget, and whatever their experience level. To help you out, we’ve also added many of these gifts to a list on Amazon here, for quick reference and up to date pricing. We have a guide to picking the best travel camera. We also have guides to the best point and shoot cameras, the best mirrorless cameras and the best DSLR cameras for travel photography. We have a guide to taking better pictures of yourself, how and why to use back button focus, how to take pictures of stars, an overview of Neutral Density filters and a guide to shooting in RAW – just some of our photography tips posts! We also have an always expanding series of Photography Location Guides, to help you get the best shot in locations around the world. And that’s it! As always, if you have any questions or feedback on this post, just let us know in the comments below.